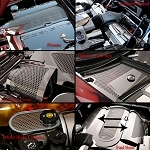 Dress up under the hood of your 1997-2004 C5 & Z06 Corvette with our high quality, custom made Plenum Cover. This product is super easy to install. Precision formed from 20 gauge polished 304 stainless steel with a perforated stainless insert, it is guaranteed to never tarnish or change color. 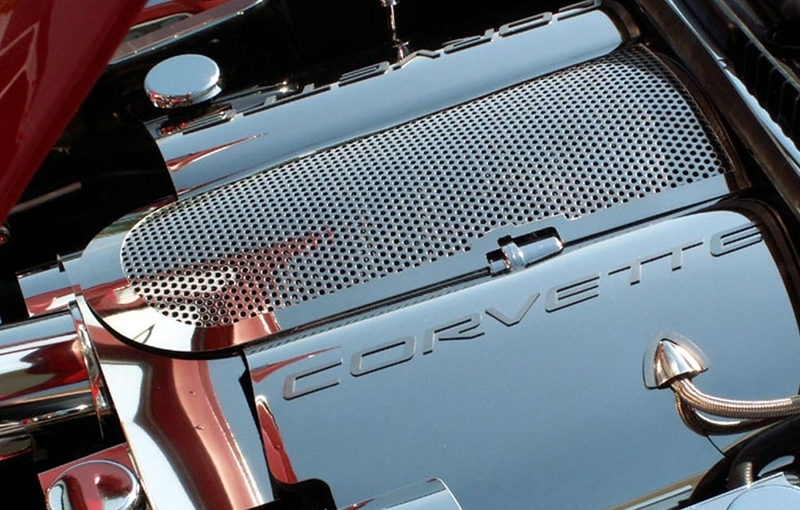 The Stainless Plenum Cover adds a beautiful, sleek appearance to your Corvette intake manifold. Choose as much flash that suits your style - whether you pick just one stainless accent item or fill the engine bay, each piece compliments all the others. Made in the USA.